Actor Son Seung Won attempted to blame passenger Jung Hwi for the DUI accident. 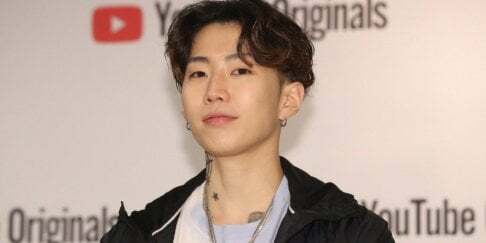 On January 7, the Gangnam Police Station announced Song Seung Won has been indicted and his DUI case has been sent to the Seoul Central District Prosecutor's Office. The police also revealed additional information on Son Seung Won's DUI accident. According to the officer who was at the scene, Son Seung Won refused to take a breathalyzer test and claimed Jung Hwi was the driver. Jung Hwi hesitated but, ultimately, admitted he was behind the wheel. However, witnesses refuted and pointed out that Son Seung Won was the actual driver. With suspicion, the police once again asked Jung Hwi, "Did you really drive?" After 20 minutes of hesitation, Jung Hwi confessed, "Son is actually the one who drove." Ultimately, Son also confessed he was the one driving. The CCTV footage from the scene also showed Son in the driver seat. In the police investigation, Jung Hwi revealed, "After the accident, Son said to me, 'I'm going to be punished badly if I get caught again this time. Tell them you are the one who drove.' I couldn't reject because we are hoobae-sunbae." The police shared, "Jung waited in the backseat when Son said he was going to call a driver. However, Son failed to get in contact with a driver and suddenly started the engine and drove," and added, "Jung probably could not stop Son because Son is his sunbae and the accident occurred within a minute of Son started driving." Prior to this DUI accident, Son was involved in 3 other DUI cases. His driver's license was already suspended back in November.